Julie Wood joined the Cathedral in August 2008. 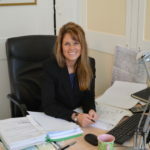 She is a Chartered Accountant with experience of working in both the commercial and charitable sectors. She provides financial advice to Chapter and manages the accounting function and insurance arrangements for the Cathedral and related entities. Leonie Seliger is head of the Stained Glass Conservation Department. 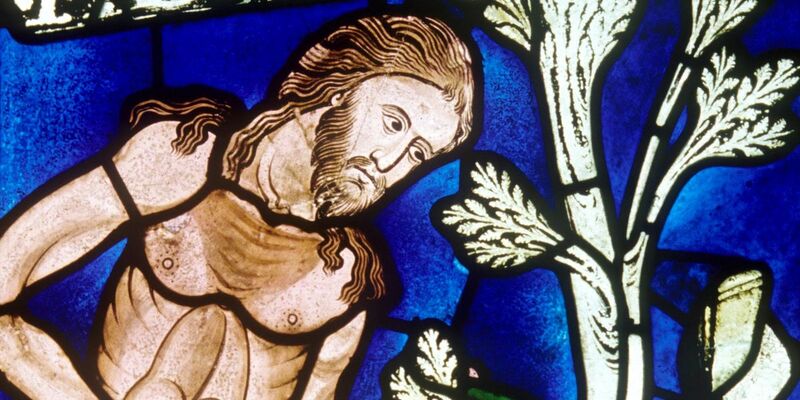 She also advises the Dioceses of Canterbury and Rochester on faculty applications involving restoration/conservation as well as new designs for windows in the churches of the dioceses. Leonie is also a versatile designer of new windows; her work can be seen for instance in St. Bartholomew’s Chapel in Sandwich and All Saints Church in Boughton Aluph. The Director of Works is responsible for the implementation of agreed programmes of maintenance, restoration and conservation work for all buildings owned by the Cathedral. 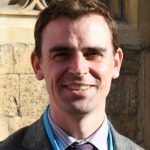 Mark Sharratt was appointed to the post of Clerk of Works in February 2014 having previously spent 7 years with the Landmark Trust as the Head of Buildings and 12 years with the National Trust serving as Regional Buildings Manager, Project Manager and Buildings Surveyor. Natalie Beldin is responsible for the Cathedral’s property portfolio. Natalie joined the Cathedral in November 2015 when she moved from Thanet District Council where she was responsible for managing a diverse commercial property portfolio. Natalie has been a Chartered Surveyor for 15 years. 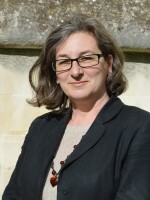 Emma Clarke has been a member of Cathedral staff since February 2008. She is the person to whom all requests for the use of the Cathedral and its Precincts should be addressed. She also deals with requests for filming and photography (other than general press enquiries – please contact Jane Walker). 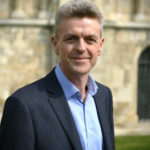 Appointed in January 2019 to this newly created position, Andrew has responsibility for a wide ranging portfolio including the strategic development of the Cathedral’s Commercial and Enterprise businesses (Cathedral Shop, Hotel and International Study Centre), Cathedral Trust, Friends of Canterbury Cathedral (UK and US), Visitor Welcome, Trade and Group Sales, Events, Marketing and Communications. After studying Comparative Religion and Philosophy at King’s College London, Andrew’s career has encompassed leadership roles in a wide range of cultural/not for profit organisations including English National Opera, the South Bank Centre, Wales Millennium Centre, The Royal Shakespeare Company and National Churches Trust. 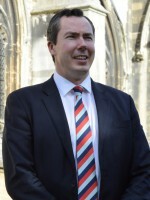 Andrew was Chief Executive of The Canterbury Cathedral Trust between 2011 – 2016 and before returning to Canterbury held a senior position at St Paul’s Cathedral in London. Caroline Plaisted is the Friends’ Secretary and Administrator. Every year, The Friends contribute to many Cathedral projects and have contributed the equivalent of over £15million since they were founded in 1927. Recent gifts by The Friends include £335,000 for the new organ loft and organ console, and a grant of £250,000 towards The Canterbury Journey. Dinner. You can find out more about The Friends here. Canterbury Cathedral Lodge is a first class hotel and versatile conference and events space, overlooking the Cathedral. The Lodge provides a warm welcome to all visitors to the Cathedral and Precincts, whatever the reason for their stay, reflecting the monastic origins of the Cathedral and the long tradition of hospitality associated with it. Richard Moppett joined the Lodge in October 2012, and has worked in hotels and hospitality since 1997, in various locations in Kent and central London. Cathedral Enterprises is the trading arm of the Cathedral and gives all their profits back to the Cathedral to help with the running costs. The activities extend to the large retail operation; the seasonal catering outlet; publishing guide books and the external work of the expert stained glass studio and stonemasons. Cressida Williams leads the staff team of the Cathedral Archives and Library, which cares for the manuscript and book collection of the Cathedral and other local organisations. Cressida qualified as an archivist in 1997, and has particular interests in medieval charters and seals, and architectural records. Trained in Fine Art, Stonemasonry and Conservation, Heather was Head of Stonemasonry from 2006-2015. In 2015 she was made Head of Conservation and, working collaboratively across the organisation, has oversight of all conservation-related matters. She has managed some of the most recent major projects, including the re-building of the Great South Window. 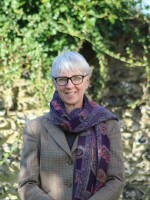 Heather is a consultant to the Canterbury Diocesan Advisory Committee and a member of Rochester Cathedral’s Fabric Advisory Committee. She is also a founding member of the Cathedrals’ Workshop Fellowship, a training initiative run in partnership with eight other cathedrals and the University of Gloucestershire. 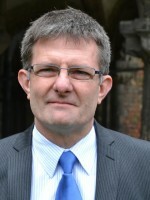 In March 2015, Jan Leandro joined Canterbury Cathedral as Head of Learning & Participation to develop wide reaching learning and engagement programmes across the Cathedral at senior strategic level, and lead on the delivery and implementation of the audience development, interpretation, learning and community engagement elements for The Canterbury Journey. Jan has over five years’ experience working on another Heritage Lottery Fund project for the historic Dreamland amusement park in Margate, where she was responsible for audience development, interpretation, learning, heritage management, events, press and PR, volunteer recruitment, training and opening an interactive and immersive pre-opening Visitor & Learning Centre. James provides Chapter with advice on employment law, implements legislative changes and manages the personnel, training and payroll functions within the organisation. Prior to joining the Cathedral in October 2018 James previously worked in the charity sector for Oxfam and latterly for Save the Children. Dr David Flood has been Master of the Choristers since 1988, and under his direction the Cathedral Choir has yet further advanced its national and international reputation. The Precentor is in charge of organising the Cathedral’s worship and is a minor canon and member of the Cathedral Foundation. 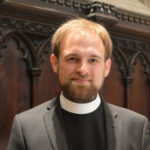 Max Kramer came to Canterbury in June 2017, following a curacy at Little St Mary’s, Cambridge, which he combined with teaching, administrative, and outreach responsibilities in the Faculties of Classics and Divinity of the University of Cambridge. 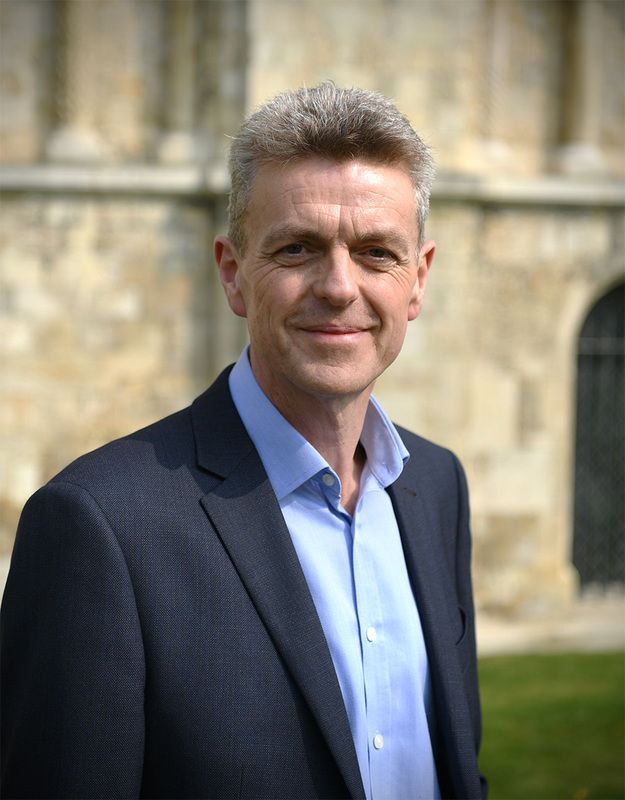 Mark Hosea is the Project Director responsible for the development and delivery of The Canterbury Journey, a £24.7 million project, which has received a £13.8m total grant from the Heritage Lottery Fund (HLF). The project will transform the Cathedral, its Precincts and the way in which people can access and enjoy this beautiful building, its rich history and treasures. The project is formed of three complementary programmes – Heritage, People and Communities. 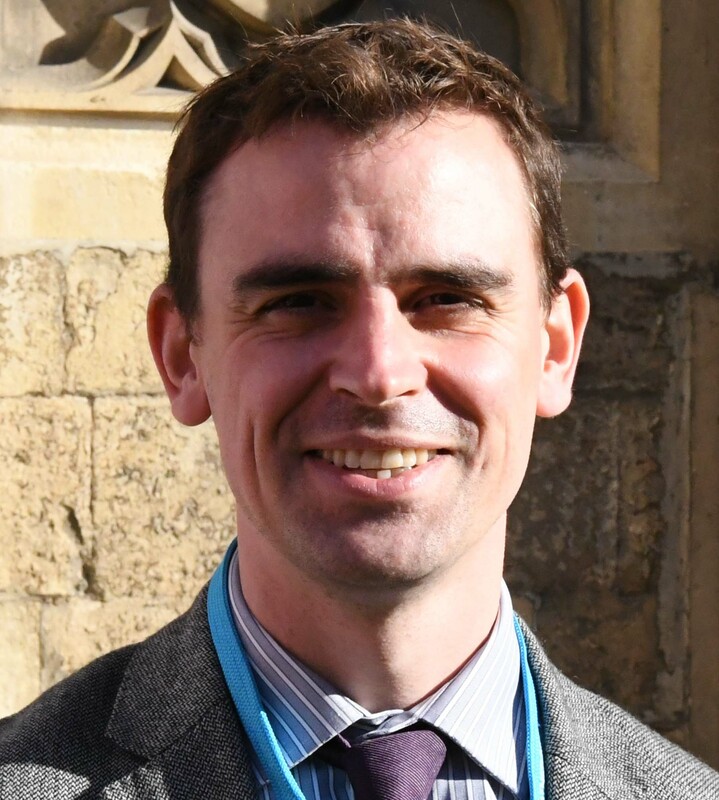 Mark is a Chartered Surveyor in Planning & Development and spent three years prior to his arrival at Canterbury Cathedral delivering a similar size HLF funded project at York Minster. Prior to that, Mark worked in property in the private sector, advising clients on planning, development and grant funding matters to ensure the delivery of sustainable projects. Elaine has been working as a Safeguarding Adviser for the Diocese of Canterbury since 2002 and has held specific responsibilities as the Cathedral Safeguarding Adviser since December 2016. 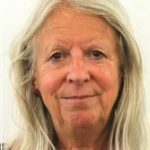 Elaine’s background is that of a qualified social worker and she is also a registered child and family psychotherapist. Elaine lives on Romney Marsh where she keep chickens, sheep and three English Setter dogs so life is busy. Time to relax is found in gardening, music, a bit of running now and then. 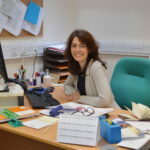 Education is an important part of the Cathedral’s mission, and Zoe Willis and her colleagues in the Schools Office provide first class facilities to the 100,000 or so school children who visit the Cathedral every year. Facilities are tailored to National Curriculum requirements and range from project room activities to guided tours. 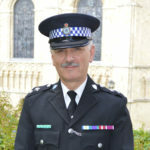 Jim joined the Cathedral staff in March 2002 after a short period of time as the Beadle for the Worshipful Company of Grocers, prior to which he served in the British Army for 24 years. He is responsible for the day-to-day security of the Cathedral and Precincts as well as the point of contact for fire prevention issues. Chris Crooks joined the Cathedral’s staff as Vesturer (Head Virger) in October 2005, having previously been Head Virger at Salisbury and Portsmouth Cathedrals, and a virger at Wells and Llandaff Cathedrals. He is responsible for a team of virgers and cleaners, and assists the Dean, the Canons and the Precentor in planning and overseeing the ceremonial and practical details of over 1600 daily and special Services every year. The virgers liaise with other departments to welcome many thousands of pilgrims to the Services, and assist with the needs of concert and exhibition organisers, schools, universities and conferences who use the Cathedral throughout the year. Chris is an active member of the Church of England Guild of Vergers.